New York-based MediaCom won the Gold Stevie® Award for Mobile Marketing Campaign of the Year in the marketing awards categories of The 2012 American Business Awards, the premier business awards competition in the U.S.A. (The entry deadline for the 2013 ABAs is March 27, request your entry kit here and it will be emailed to you right away.) Now that the dust of Super Bowl XLVII has settled, we look behind the scenes at how the innovative technology achieved maximum ROI for a Super Bowl XLVI ad. In 2011, Volkswagen’s “Mini Vader” TV spot was the must-see commercial of the Super Bowl. It was strong enough that MediaCom seeded it online way ahead of game day. Momentum was built up through mobile, search, and social media; and MediaCom was able to capture data that was vital for the targeted remarketing that turned the buzz surrounding the spot into sales floor action. This momentum turned the spot about an adorable kid in a Darth Vader costume into real call-to-action messages. In 2012, imitation proved to be the sincerest form of flattery for MediaCom when the majority of Super Bowl advertisers copied their strategy—but MediaCom was able to do even better. The challenge for MediaCom was to provide mobile and tablet support for the VW Super Bowl campaign, “Dog Strikes Back,” that would run before, during, and after game day. MediaCom developed an aggressive mobile search campaign around VW’s Super Bowl spot to not only match the blockbuster results from 2011, but also exceed them. The campaign started well ahead of the Super Bowl, lending support around a teaser video. Rather than directing people to YouTube, all these efforts drove them directly to VW’s mobile-optimized website, providing an enhanced viewing experience on a mobile device or tablet. Next, MediaCom continued to spread interest and increase traffic via major paid channels, including Google, Bing, Marchex Voice, and Kontera. MediaCom secured terms that were both specific to VW and more general to the Super Bowl. The MediaCom team also worked with ad networks like Kontera to secure in-text terms like “Super Bowl,” “vehicle,” and “new car”, effectively blocking the competition from these terms. While MediaCom aggressively beat out competitors’ search terms, the real challenge came in defending VW’s own. Not only did other automobile brands bid on VW terms, but so did brands like Sketchers, Old Spice, and Doritos. MediaCom constantly monitored in real-time and adapted relevant keywords and ad copy to defend against competition at all stages of the campaign. MediaCom knew that during the game people would be especially active on their phones and mobile devices – texting, Tweeting, and searching – so the team ramped up its efforts on Super Bowl Sunday. MediaCom was one of the first Super Bowl advertisers to use voice search. Consumers searching for related terms were greeted with an audio version of the VW Super Bowl ad and the opportunity to learn more about VW. It’s a well-known fact that many people order food during the Super Bowl—especially pizza. MediaCom secured “pizza”-related terms, with VW sponsoring free Skype calls from consumers to pizzerias. Most importantly, VW saw its sales soar 42% year-over-year in February, the carmaker’s best February for sales since 1973. "The mobile media work we've done for VW shows how businesses can harness the power of new media to push sales to new heights,” commented Ryan Mocan, Digital Media Director at MediaCom. “Being acknowledged as Best Mobile Marketing Campaign in The American Business Awards shows that the business community is equally aware of this." 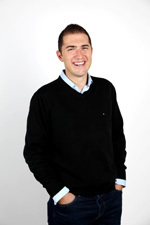 Ryan Mocan is the Digital Media Director at MediaCom. He crafts strategies to lead and strengthen his clients business while developing POVs, providing thought leadership, and driving innovation. He also ensures that companies target the right audience to drive qualified traffic to their website, and increase their online ROI with digital strategies including SEM, SEO, social media, local search optimization, mobile, display, and web analytics. Mocan’s work has been widely recognized throughout the industry and has received numerous accolades, including an OMMA Award; two IAB MIXX Awards; a Direct Marketing Association ECHO Award; an Adrian Award; a ClickZ Connected Marketing Award; and seven American Business Awards. Mocan has twelve years of online marketing experience and holds a double MBA in online marketing and management information systems. Part of the WPP Group, MediaCom is one of the largest media planning and buying agencies in the world. Billing nearly $25 billion USD a year globally, MediaCom boasts over 4,500 employees across 89 countries and in 111 offices. MediaCom provides clients with business-building media communications strategies for some of the world’s biggest and best-known global brand names. Blue Cross and Blue Shield of North Carolina, Durham, NC, USA won a Stevie® Award for Marketing Campaign of the Year in the marketing awards categories of The 2011 American Business Awards, the premier business awards program in the U.S.A. (The final entry deadline for the 2012 ABAs is April 25, you can request an entry kit here and you will receive it right away.) Here we look at how Blue Cross and Blue Shield of North Carolina (BCBSNC) used emerging technology to help the lives of their customers. A Find-A-Drug feature that gives average pricing for formulary drugs, including cheaper generic options, to help users save money on medications. Find-a-Drug was accessed 4,449 times. Through the development of their HealthNAV app, BCBSNC successfully showed customers that the company is both tech-savvy and looks for ways to make health care less expensive and more convenient for customers. Blue Cross and Blue Shield of North Carolina delivers innovative health care products, services and information to more than 3.7 million members. For 76 years, the company has served its customers by offering health insurance at a competitive price and has served the people of North Carolina through support of community organizations, programs and events that promote good health. To learn more, visit www.bcbsnc.com.